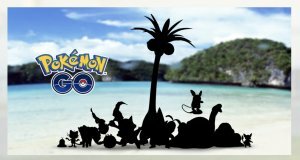 Niantic took to its blog today to announce that Pokémon from the tropical Alola region will soon be arriving in Pokémon Go. This means that some of the Gen 1 Pokémon from the Kanto region will soon be appearing in their Alolan forms. The unique variants of the familiar Pokémon were first found in the Pokémon Sun and Pokémon Moon video games. 9to5 Mac reports that according to new figures from Strategy Analytics, Apple shipped 600,000 HomePods in Q1, representing 6% of the smart-speaker marketshare. Amazon currently has 43.6% of the market, or 4 million of the overall smart speaker total of 9.2 million units shipped in the first quarter of 2018. Google is in second place, with 2.4 million shipments, and Alibaba just ahead of HomePod with 700,000 shipments. When Apple announced that it was discontinuing its entire AirPort wireless router line-up at the end of April and would keep selling them until all stock was gone, it was inevitable that the day would come when supplies became scarce, and now, according to MacRumors, that day is here, less than a month after Apple made the announcement. MacRumors reports that Apple’s iPad Pro and iPhone X have just been voted Displays of the Year by The Society for Information Display (SID) at the annual Display Industry Awards at the Display Week symposium and trade show. The awards are given to those devices that represent “high-quality, innovative work that is taking place in the display industry,” according to Dr. Wei Chen, Chair of the Display Industry Awards Committee for SID. Legendary game creator John Carmack, who was responsible for the likes of Doom, Quake, and Wolfenstein, has today written a post on Facebook all about his experiences working with the late Apple CEO, Steve Jobs, writes MacRumors. In particular, Carmack provides insights into Steve Jobs’ opinions on gaming, which Apple historians will doubtless be very interested to read. Cnet reports today on how two-time US Paralympian Austin Pruitt is incorporating the Apple Watch and other Apple devices in his training schedule. In the article, Pruitt shows Cnet's Ben Fox Rubin how he now only needs to use a single Apple Watch to track his stationary workouts, whereas he previously had to use a number of different trackers set up on his racing wheelchair.